Loews Sapphire Falls Resort, located between Royal Pacific and Cabana Bay Beach resorts, officially opened its doors and greeted its first guests on Thursday morning. The other two Universal Orlando hotels are Portofino Bay and the Hard Rock Hotel. All the five hotels are operated by Loews Hotels & Resorts, which has 26 hotels in the United States and Canada, including in Miami Beach, Chicago, St. Petersburg, Atlanta, New York. and Washington, D.C.
Sapphire Falls Resort is Universal Orlando’s first new hotel since the theme park resort opened Cabana Bay Beach in 2014. The hotel is located between the company’s Loews Royal Pacific and Cabana Bay Beach resorts. Sapphire Falls is the fifth on-site hotel for Universal Orlando and with its 1,000 rooms, including 83 suites, it brings the number of rooms at the theme park resort to 5,200. The Tropical-themed hotel offers its guests more than 300,000 square feet of meeting space, as advertised by the company. Sapphire Falls boasts a 16,000 feet swimming pool, the largest at the Universal Orlando hotels, surrounded by waterfalls. The other amenities include a Caribbean-inspired restaurant, Amatista Cookhouse, and Strong Water Tavern, featuring 75 kinds of rum. 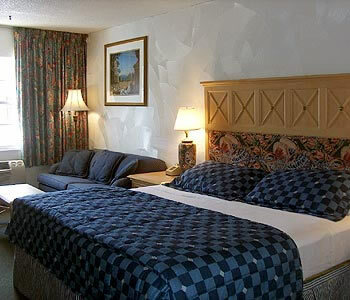 Rooms rates will start between $117-172 per night depending upon season. Guests who stay at Sapphire Falls Resort can enjoy early access to both Island of Adventure and Universal Studios. Universal is currently planning to built a sixth on-site hotel and has the potential to build even more resorts in the tourist corridor.